Though many of our favorite grain free dog food products have many of the same ingredients, they are indeed all different. In our more detailed reviews and discussions of each grain free item below, we discuss those differences and why we chose each product. Listed below are detailed reviews of the 6 grain free products we recommend above. The BLUE Freedom Grain Free Dry Dog Food bag is available in 4, 11 and 24 pounds. The main ingredient is de-boned chicken with no poultry by-product meals, corn, wheat or soy. Also contained in the product is what the manufacturer calls its, “LifeSource Bits”. These bits are mixed in with the chicken and contain additional vitamins, minerals and antioxidants. The BLUE Freedom company also offers many additional grain free products for senior dogs and puppies. 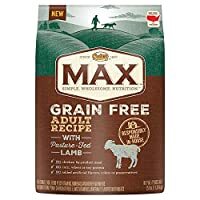 An excellent choice for a grain free dog food. We give the BLUE Freedom Grain Free Dry Dog Food our highest FIVE STAR rating! 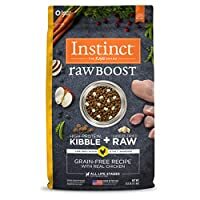 The Nature’s Variety Instinct Raw Boost Grain Free Recipe Natural Dry Dog Food comes in 4, 10 and 20 pound bags. The main ingredient is cage-free chicken – which is the advertised raw bits within the food. The product is made without grains, potato, corn, wheat, soy, by-product meal, artificial colors or preservatives. In addition to the main ingredient of chicken, the product also contains a probiotic along with antioxidants and omega ingredients. The product is made in the USA, though with ingredients from the USA and other countries. Though we like the product, there have been some comments that the amount of “raw bits” has decreased over time. 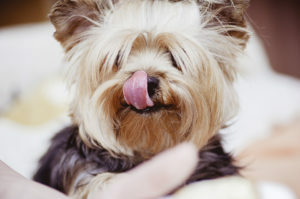 As a result, we give Nature’s Variety Instinct Raw Boost Grain Free Recipe Natural Dry Dog Food our THREE STAR rating. The Rachael Ray Nutrish Zero Grain Natural Dry Dog Food comes in bags weighing 6, 14 or 28 pounds. The number one ingredient is US farm raised chicken. The product does not contain grains, glutens or fillers, poultry by-product meal, artificial flavors, colors or artificial preservatives. Additional ingredients include added vitamins and chelated minerals. This is one product that does well if moistened by adding 1/4 cup of water to 2 cups of the dry dog food. 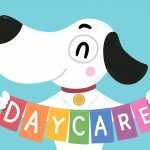 The Rachael Ray Nutrish company also offers a variety of other food products, both wet and dry to dogs and cats of different ages and breeds. We agree with the many vets and dog owners that Rachael Ray Nutrish Zero Grain Natural Dry Dog Food is a great product and give it our FIVE STAR rating. 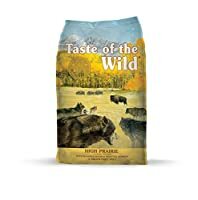 Taste of the Wild, Grain Free Canine Formula Dog Food comes in 5, 15 and 30 pound bags. The main ingredient (first on the ingredient list) is Bison (Buffalo). This product is different than our other recommendations because it contains Bison along with quite a few vegetables and fruits. It also contains pre-biotics and species-specific bacteria probiotics. The manufacturer states that its has a, “proprietary K9 Strain probiotics are added after the kibble is cooked so your dog gets guaranteed live, active cultures that support healthy digestion.” Because of it’s unique ingredients and taste that most dogs seem to enjoy, we give the Taste of the Wild, Grain Free Canine Formula Dog Food our FOUR STAR rating. The NUTRO MAX Grain Free Natural Adult Dry Dog Food comes in 4 or 25 pound bags. Out of our 6 choices, this is our one choice which contains real lamb protein as a main ingredient. This grain-free product does not contain any added artificial flavors, preservatives or artificial colors. It also does not contain corn, wheat, or soy protein. It does have added vitamins and minerals. The taste is savory vs. sweet and/or meat flavored which most dogs seem to enjoy. We give the NUTRO MAX Grain Free Natural Adult Dry Dog Food our rating of THREE STARS. The Purina Grain Free dog food comes in two sizes; 4.5 and 12.5 pound bags. It’s main ingredient is farm-raised chicken. It also contains blueberries, pumpkin and spinach. This product is made without corn, wheat or gluten. The product also contains 23 minerals and vitamins. 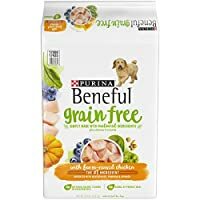 We give Purina Beneful Grain Free with Real Chicken our rating of THREE STARS. As you review and look into each grain free dog food, note the weight of each product. Though the price on one product may be the same as another, one may weight more than the other. For a true comparison to price, divide the price by the weight to get a price per pound. Then compare prices of grain free dog food. 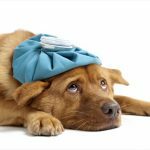 Does Your Dog Have Food Allergy Symptoms? 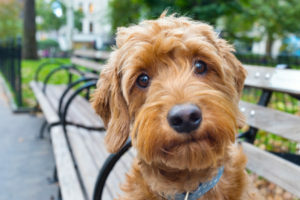 If your dog exhibits any of these symptoms, they may have a grain food allergy. The best way to confirm this is a trip to the vet. The vet can then run a food allergy test. 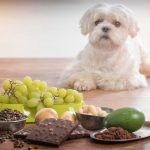 You, as the dogs owner, can also try out different foods to see if it makes a difference in the symptoms. 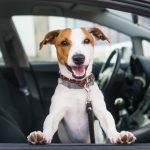 Be sure, however, to keep your dog on the test food long enough (one week or more) in order to see if the suspected food allergy symptoms are better or worse. 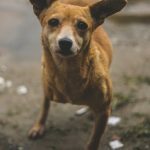 What are the Ingredients in Grain Free Dog Food? Most grain free products will usually only contain one of the meat products with different vegetables (spinach, beets and others) and fruits (mainly berries). Only one main meat is used to give the product a unique flavoring and smell. Fish, when used, though rare, is usually salmon. Grain free dog food can be an essential element and part of your dog’s life. With the many types, brands and manufacturers of dog food without gluten or grains can be confusing and frustrating. However, our top six grain free dog foods, along with vitamins and probiotics, can help make your dog healthy and happy for many years to come.